Of course, you could choose to leave Facebook entirely, but for many that is not a viable solution, unfortunately. 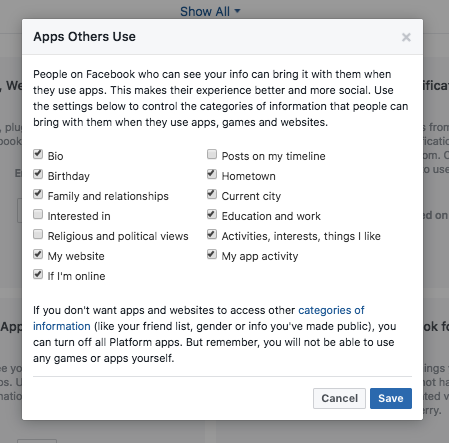 For now, if you'd like keep your data from going through Facebook's API, you can take control of your privacy settings. 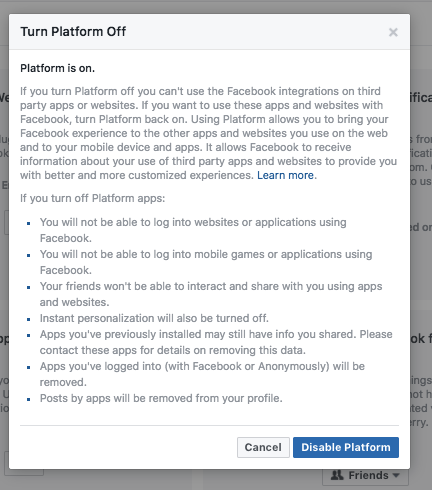 Keep in mind that this disables ALL platform apps (like Farmville, Twitter, or Instagram) and you will not be able to log into sites using your Facebook login. From the same page, click "Edit" under "Apps Others Use." 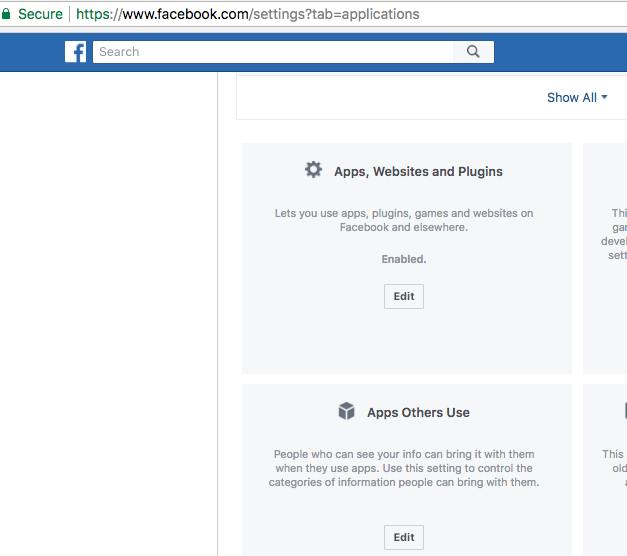 Then uncheck the types of information that you don't want others' apps to be able to access. For most people reading this post, that will mean unchecking every category.